While officially owned and maintained by the Unified Government of Wyandotte County and Kansas City, Kansas, the trail network around the 1,500-acre Wyandotte County Lake Park has become a labor of love for the Trail Nerds and other local running groups. Circumnavigating Wyandotte County Lake, the up-and-down bridle trail measures 8.85 miles – but the Trail Nerds have customized it a bit for their “Psycho WyCo” events that call for distances ranging from 10 miles to a 50K (31 miles). The winter race sends participants into sharp switchbacks buried in ice, snow or any combination thereof, whereas Psycho Psummer somehow always lands on the hottest weekend of the year. On this course, perseverance is a more common goal than a personal best. One of the most treacherous stretches of the course also involves one of the most touching stories about the strong connection that Psycho Wyco race director Ben Holmes and his dog, Fester, created with the park over the years. Though the adorable Fester passed away in 2008, his legacy lives on in a stretch of the race course that zigs and zags up and down a hillside for more than a mile to live up to the name, “Fester’s Wander.” While not officially part of the park’s trail system, race participants have dutifully followed that path ever since the day Holmes let Fester lead the way as he dropped flags as markers. 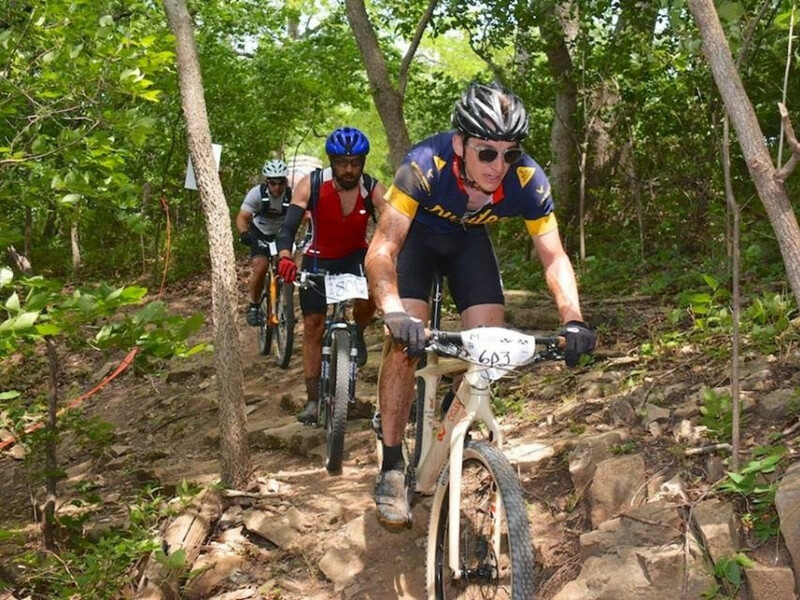 The park offers at least 10 miles of singletrack mountain bike trails that are used for races like Wyco's Revenge MTB Race and the Masons Midsummer Meltdown Mountain Bike Race and Trail Fundraiser. The bridle trail gives runners a quick tour of many of the park’s features enjoyed by visitors year-round. 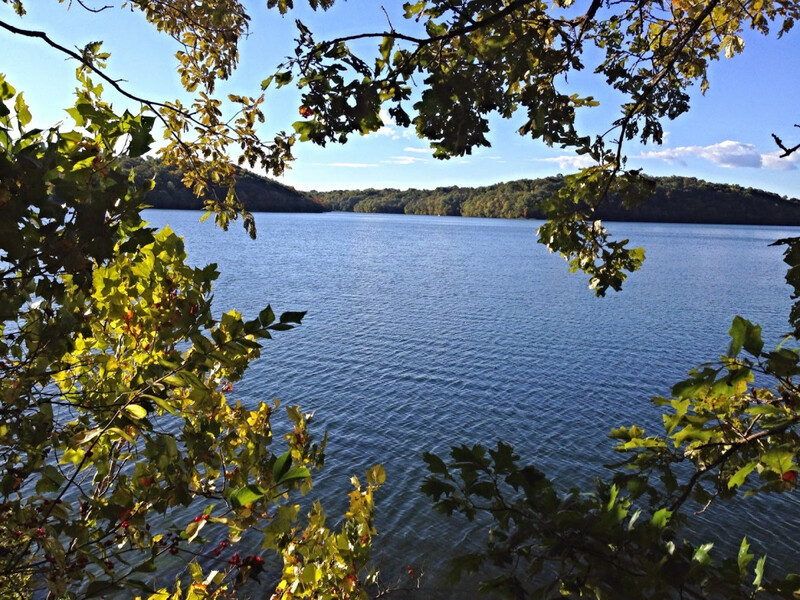 Surrounding the 456-acre lake are more than a dozen picnic shelters with play areas (including the largest outdoor playground in Wyandotte County), boat rentals, fishing areas, an abundance of wildlife. For a slower pace, visitors can enjoy an off-leash dog park, archery range, and the Schlagle Library and Environmental Center. And with nearby attractions such as the Kansas Speedway, Sporting KC (Kansas City’s Major League Soccer team), the T-Bones (minor-league baseball) and an outlet shopping mall, Wyandotte County has become a popular destination for athletes and fashionistas – and of course, the Nerds.